Xiaomi will be holding its biggest launch ever on May 31 in China, where the company already confirmed to launch the flagship Mi 8. Rumours suggest that there might be more than one smartphone at the event. When you hear that, you might think that Xiaomi will launch the Mi Max 3, but that’s not the case. Xiaomi has another flagship smartphone under its sleeves, but with last year’s hardware. The smartphone in question is the Xiaomi Mi Note 5, whose marketing material is making rounds on the Chinese social media. The best part of this marketing material is it has key specifications of the Mi Note 5, alongside the price. The Xiaomi Mi Note 5 could be the successor to Mi Note 3 that was launched with mid-range hardware last year. Xiaomi is skipping the Mi 7 smartphone, and there won’t be any surprises if the company skips the Mi Note 4 and directly jumps to Mi Note 5. In addition, numerical ‘4’ is considered as unlucky in China which could also be the reason why Xiaomi is skipping the Mi Note 4. Moving onto the leaked specifications of the Mi Note 5, it will flaunt a 5.99-inch Full HD+ display with Full Screen 2.0 design, but the design could be in-line with the Xiaomi Redmi 5 lineup and not the Mi Mix lineup. The phone will make use of last year’s Qualcomm Snapdragon 835 chipset, paired with 6GB of RAM and 64GB of internal storage. The device also has 43 LTE bands and comes with 4-axis optical stabilisation, but sadly, the material did not reveal the camera specifications though. Right now, there are not many details available regarding the smartphone. 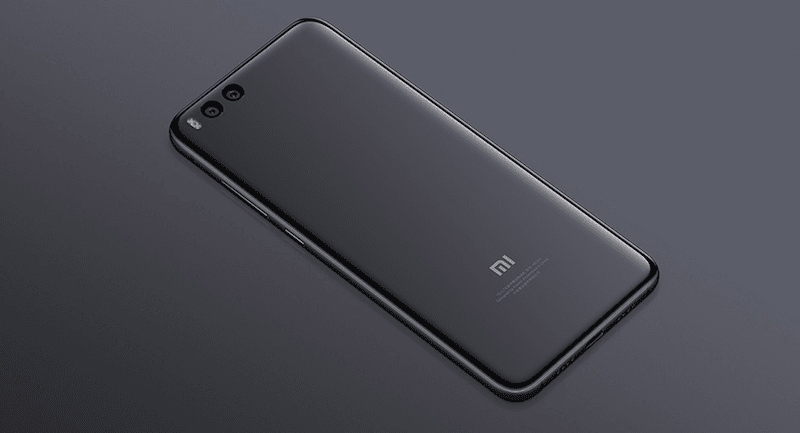 But most likely, it will go official alongside the Mi 8 on May 31. 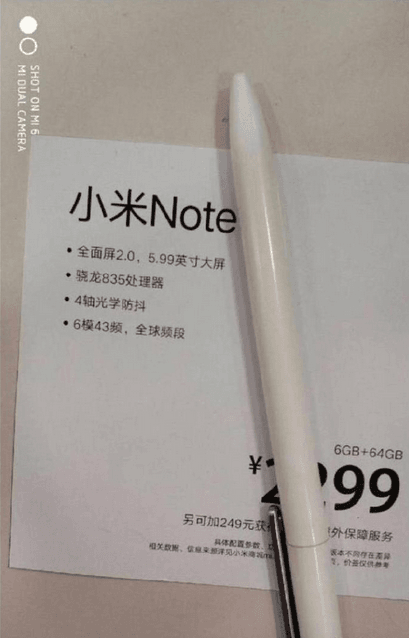 The price of the Xiaomi Mi Note 5 is listed as RMB 2299 (approx. Rs 24,183), which is a decent price for a smartphone with 2017’s flagship chipset. Cameras could be the primary aspect of this device; unfortunately, we don’t have those details yet. At its May 31 event, Xiaomi is also expected to unveil a couple of IoT products and the much-awaited Mi Band 3 fitness band. There could be a smaller Redmi phone making its way to the audience as well. Buy Redmi Note 5 and flash Lineage OS.